Looking for unique, one-of-a-kind, hand crafted jewelry? 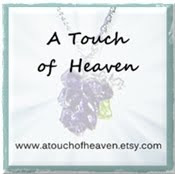 Go to my store and take a look at my designs. I will gladly design pieces to your specifications. Do you need several pieces of the same design? (Bridesmaids, sports teams, etc?) I'll work with you to create a custom designed piece. NYS Far West Regional - Soccer - YEAH !!! !